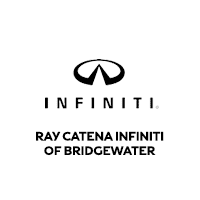 Ray Catena INFINITI of Bridgewater does not stop at just selling vehicles. We understand your ride needs continuous attention and that’s why we are here for you at every step. Our Bridgewater INFINITI dealership also has parts for your vehicle. It is important that you buy genuine products for your vehicle’s long life. At our store, you can rest assured that you will get them. We have everything, right from an oil filter to shock absorbers and more. The trained technicians at our INFINITI parts department in Bridgewater will help you with selection and installation of the components. You can order online as well, from the convenience of your home or office. Our Bridgewater INFINITI part store would love to help those from surrounding areas as well. We look forward to assisting you at our dealership.